The Sydney Modern Jury brought together a panel of seven world leaders in the fields of architecture, landscape architecture, cultural leadership and curatorship. The biographies below reflect the positions of the jury at the time of the design competition. Dr Michael Brand serves as the ninth director of the Art Gallery of New South Wales. He is an international art scholar and cultural leader whose commitment to the arts is evident in his significant contribution to Australian and international art and in his work that spans art museums and academia as well as the government, philanthropic and community sectors. As the Gallery approaches its 150th anniversary in 2021, Dr Brand’s vision for the institution is to enhance its cultural, social and economic vibrancy while advancing its national and international reputation as an innovative art museum that welcomes and engages diverse local and global audiences. Creating a new narrative for the Gallery is the Sydney Modern Project, a bold vision lead by Dr Brand and the Gallery’s team of creative thinkers to deliver inspiring new cultural infrastructure for the pursuit of artistic expression and appreciation in NSW, informed by both Sydney’s natural beauty and its multicultural community. Prior to his Art Gallery of New South Wales appointment Dr Brand was consulting director of the new Aga Khan Museum in Toronto while it was under construction. Before this he worked as director of the world-renowned J Paul Getty Museum in Los Angeles from 2005 to 2010. 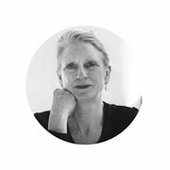 Kathryn Gustafson brings over 30 years of distinguished practice to landscape architects Gustafson Guthrie Nichol. Her early work includes a widely known series of projects in France, and recently acclaimed projects are located throughout Europe, North America, Africa, Southeast Asia, and the Middle East. These civic projects range in scale from a tenth of an acre to 750 acres. Kathryn’s diverse portfolio is recognised for intuitively incorporating those fundamental sculptural and sensual qualities that enhance the human experience of landscape. As a partner in two offices, Gustafson Guthrie Nichol in Seattle and Gustafson Porter in London, she continues to evolve her design approach into new contexts of time, culture, and nature. Michael Lynch joined the West Kowloon Cultural District Authority in July 2011. He had a long and distinguished career in arts administration, serving as chief executive of the Sydney Opera House from 1998 to 2002, and then leading the rejuvenation of London’s Southbank Centre where he was chief executive from 2002 to 2009. He was a director of the Australian Broadcasting Corporation and a member of the Board of Film Victoria and the Myer Foundation while in Australia from 2009 to 2011. 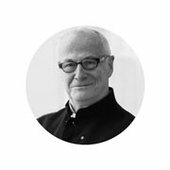 Mr Lynch was awarded an Order of Australia (AM) in the Queen’s Birthday Honours List of 2001 for services to arts administration and as an advocate for Australian cultural life. In 2008, he was made a Commander of the British Empire (CBE) in the Birthday Honours for his services to the arts. Toshiko Mori is the Robert P Hubbard Professor in the Practice of Architecture at Harvard University Graduate School of Design, where she was the Chair of the Department of Architecture from 2002 to 2008. 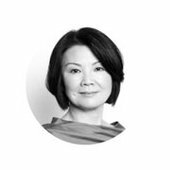 She is the principal and founder of Toshiko Mori Architect and is a founder of VisionArc, a think-tank promoting global dialogue for a sustainable future, and Paracoustica, a non-profit to promote music in underserved communities. Her firm’s recent work includes the Cambridge Headquarters for the Novartis Institutes for BioMedical Research, the School of Environmental Research & Technology for Brown University, and structures in the Hudson Park and Boulevard in New York City. Her work was represented in the last two Venice Architecture Biennales. Professor Mori has been honoured with countless awards, including the Academy Award in Architecture from the American Academy of Arts and Letters, and with the American Institute of Architects’ New York Chapter Medal of Honor. She is a Master Jury Member for the 12th Cycle of Aga Khan and is the head North American juror for the 2013–14 Holcim Awards cycle. She is an advisor to A+U Magazine and a member of the Global Agenda Council on Smart Cities. As a member of the World Economic Forum’s Global Agenda Council on Design & Innovation, she recently organised a panel on Innovation Urbanism in Tokyo and New York City. 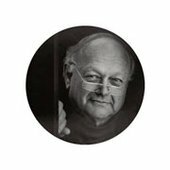 The internationally acclaimed Australian architect Glenn Murcutt received the Pritzker Architecture Prize in 2002. He and his work have also been recognised with numerous other awards including the Alvar Aalto Medal in 1992, the Australian Institute of Architects Gold Medal in 1992, the ‘Green Pin’ International Award for Architecture and Ecology, Denmark in 1999, and the Gold Medal of the American Institute of Architects in 2009. He is an honorary member of the Royal Institute of Architects of Ireland and of the American Academy of Arts and Letters. Professor Murcutt studied architecture at the Sydney Technical College of the University of New South Wales. In 1969, he established his own firm. Since then – while undertaking all the design-related tasks himself – he has created an impressive oeuvre of environmentally conscious buildings of exceptional quality and vision. Professor Murcutt has shared his vision with countless students around the world. He holds a professorship at the University of New South Wales, and has been a visiting professor at schools such as Yale University, University of Pennsylvania, Helsinki University of Technology, Aarhus University and many others. 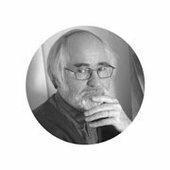 Juhani Pallasmaa, architect, professor emeritus, worked in urban, architectural, exhibition, product and graphic design from the 1960s until 2012. 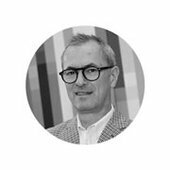 He has held several positions, such as Professor and Dean at the Helsinki University of Technology, Director of the Museum of Finnish Architecture, and Rector of the Institute of Industrial Arts, all in Helsinki. He has been Visiting Professor in several notable universities in the United States, and lectured around the world. Professor Pallasmaa has published 45 books, and received several Finnish and foreign prizes and honours for architecture and criticism. He was selected as a member of the Pritzker Architecture Prize Jury for 2008–14. Hetti Perkins is a member of the Eastern Arrernte and Kalkadoon Aboriginal communities and has worked with Indigenous visual art for 25 years. 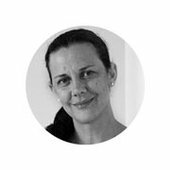 She is creative director of Corroboree Sydney (inaugurated in November 2013) and curatorial advisor to the City of Sydney on Eora journey . Ms Perkins began working with Indigenous art at the Sydney gallery of Aboriginal Arts Australia and at Boomalli Aboriginal Artists Cooperative and until recently was the senior curator of Aboriginal and Torres Strait Islander art at the Art Gallery of New South Wales. Among the major exhibitions she curated were Half light: portraits from Black Australia (2008); Crossing country: the alchemy of western Arnhem Land art (2004); and Papunya Tula: genesis and genius for the Sydney 2000 Olympic Arts Festival. In 1997, she co-curated (with Brenda L Croft) the exhibition fluent , to represent Australia at the 47th Venice Biennale. With Croft and Philippe Peltier, she co-curated the Australian Indigenous Art Commission for the Musée du quai Branly in Paris (2006). Ms Perkins has edited a number of publications, including Tradition today: Indigenous art in Australia (2004) and One sun, one moon: Aboriginal art in Australia (2007). She is a former chair of the Charlie Perkins Trust for Children and Students, which she founded; a trustee of the Michael Riley Foundation; a member of the advisory group of Jarjum College, Redfern and of the Barangaroo Arts & Cultural Panel; a former board member of the Museum and Art Gallery of the Northern Territory; and a board member of the Museum of Contemporary Art Australia.